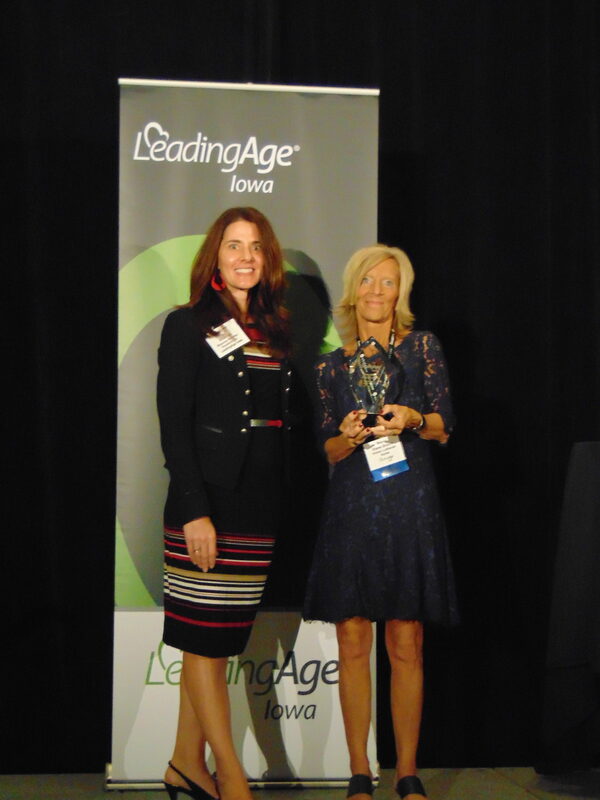 We are proud to announce that Diane Gloede, COO for the Lutheran Home for the Aged Association- East, was honored Tuesday evening with The “Francis Lackner” award of honor. 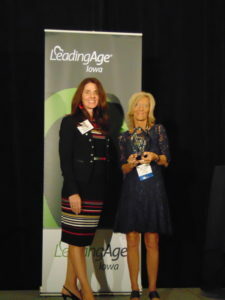 This award from LeadingAge Iowa honors the late Francis Lackner, the association’s first executive director, and pays tribute to his distinguished service, dedication and foresight in aging services. This is Leading Age Iowa’s highest award. Thank you Diane for all of your many accomplishments for the Lutheran Home for the Aged Association- East and for our elderly residents. Congratulations!